Super Box Truck Ramps-Install and Forget! Install it and forget about it! Our folding loading ramp, the MR-750 is a box truck ramp that supports 1500lbs, is 10’ long and fits boxes 80” to 102” wide. It also doubles as a dump truck ramp for any hardscape or installation trucks in your fleet. Our lawn mower loading ramps require no regular maintenance; imagine one less thing to worry about on your trucks! 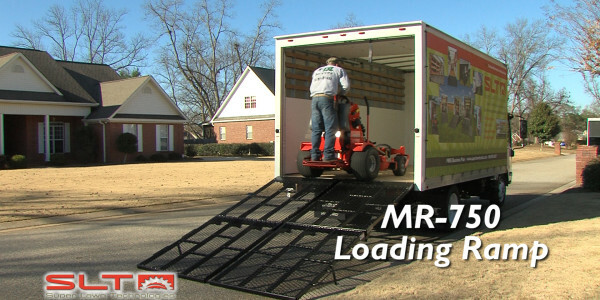 You have found your last loading ramp for box trucks: the MR-750! Many prospects and weary when it comes to installation. Check out this video to help ease your minds!